Cologne 21st May - A new analysis looking at how brands track social media effectiveness has just been published by the social media analytics provider quintly. The analysis lookes at over 50,000 anonymized users within the quintly platform and clustered the analyzed profiles country-specifically. The outcomes reveal insights on social media strategies that can be beneficial for improving intercultural marketing. In contrast of many controversial discussions regarding multi-channel approaches, the majority of companies still seem to be Facebook-focused. In course of globalization, it gets increasingly important to understand the online behaviour of different regions in the world. The shown study helps to understand which countries are interested in which networks the most, and consequently improves the marketers intercultural understanding. Top countries by usage for each network were France for Facebook, UAE on Twitter, Indonesia in Instagram, and Singapore in YouTube. Knowing this can be crucial for aiming towards a foreign country and stepping into untapped regions. Followed by analyzing this, results were compared to Google Trends and Brandwatch data that help to understand developments in the past and potentially upcoming trends. 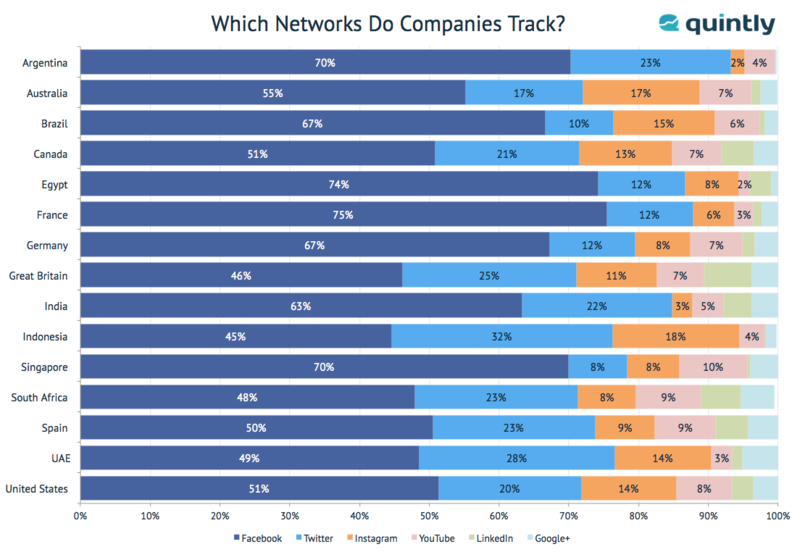 The graph shows the search behaviour of social media savvy people, and leak out their commercial interest in social networks. In coherence with the explained social media study, it shows keyword-related interest in regards to actual activities of marketers all over the world.